The days of going to a friend’s house for a sleepover and having to lug your console over with you have long passed with digital gaming. With the PS4, Sony is breaking down even more barriers. The console, according to Sony’s Neil Brown, will allow you to log onto any PlayStation 4 console and access your digital library from the cloud. Of course, Brown pointed out the obvious disadvantage of having to download said games. However, Sony’s awesome new Play as You Download feature will allow you to start playing after waiting just a short time for initial content, while the subsequent game content continues to download seamlessly in the background. This marriage of features promises to be an excellent one. Brown also mentioned that this system has additional benefits for disc-based content, in that games that need to be installed can still be played right away. For example, say a game needs to install to the PS4’s hard drive. With the PS3, you had to wait the 15-20 minutes or more for the game to install. 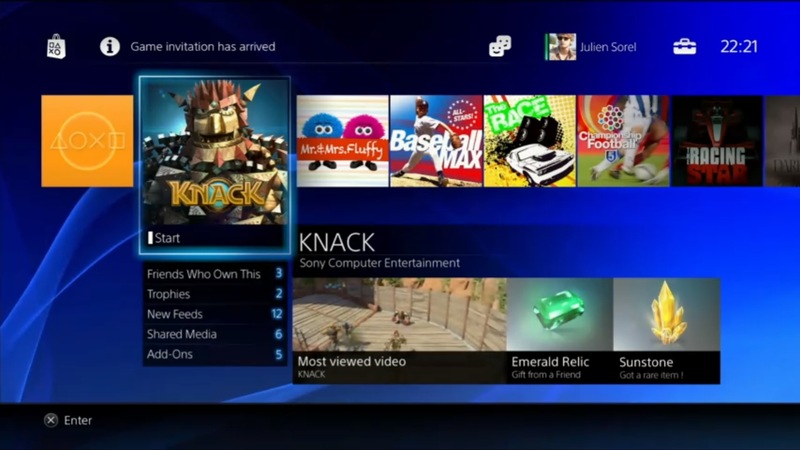 With the PS4, content will load off the the Blu-Ray immediately, while everything else installs to the hard drive. Does this feature excite you, or could you care less? Tell us in the comments, or visit us on Facebook and Twitter!